Mithi SkyConnect, is an integrated collaboration suite, served off the AWS cloud platform, is designed to provide secure, scalable, reliable and real time collaboration for enterprises over multiple communication channels and is helping over 500000 business users in India and abroad - cut costs; reduce meetings and travel and improve responsiveness for their enterprise. Besides secure enterprise e-mail, contact management and calendaring, the suite includes a secure chat/IM app specially designed for business users and a video conferencing & screen sharing app, that run on the browser. These applications are accessible from popular browsers, mobile devices & desktop apps making for easy adoption in any enterprise. Mithi Software Technologies, has been providing affordable, secure & dependable collaboration software (since 2005), helping its customers lower their costs & improve productivity substantial. Mithi SkyConnect the cloud bases collaboration SaaS has been adopted by organizations of all sizes across many enterprise segment such as healthcare, R&D establishments, financial services, education, government, BPOs, software, defence, manufacturing, banks, NGOs, agro industries, logistics, media, internet service providers, infrastructure, media, retail, energy & power, transportation, etc. 72% people prefer companies to communicate with them via email over any other channel. Email is the backbone of collaboration for most enterprises today. When everyone in your team depends on the email to keep things moving, an Always-on Email service is essential for running an efficient enterprise. 96% of execs cite lack of collaboration or ineffective communications as the main source of workplace failures! What use is a mail if it does not get delivered to its recipients? 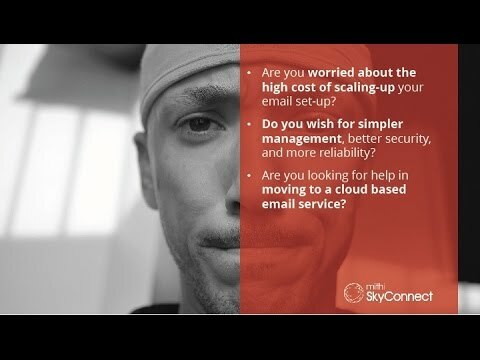 SkyConnect assures email delivery 100% of the time so you can focus on the more important business and project challenges. Email remains the primary platform for enterprise team communications - and also the #1 way malware enters your organization. 88% of businesses experience data loss and email is the main culprit Mithi recently partnered with award winning Trend Micro, the global leader in email security, in line with our continued commitment to the highest standards for email security. The tie-up especially addresses the rising menace of Phishing and Ransomware. With Mithi SkyConnect, you get a truly scalable and dependable cloud based platform which caters to your team collaboration needs. Choose a plan which suits your team size and your growth requirements and scale up as you go. Our collaboration system never lets you down. Our robust SaaS backend served off Amazon Web Services (AWS) ensures an email service which is always up and running. With a good cloud collaboration solution like SkyConnect, your 1:1 and team productivity will soar. Save on communication & travel costs. Help people collaborate faster on tasks and initiatives. Get quick feedback and turn around on any issue. Q. What is the default mailbox size for each user? / What is the Free space provided per mail box ? In any enterprise the usage pattern of any two users are typically never the same. So while the CEO of a company will have certain requirement in terms of his mailbox size, an executive lower down in the hierarchy will require a fraction of that storage for his mailbox. Mithi’s SkyConnect service offers cumulative storage plans (as against equal individual mailbox space) to its customers such that the entire storage requirement of an organization (or domain) is optimally distributed across all users as per their individual requirements thereby minimizing the unused storage. This means you only pay for what you actually use. Q. What is the maximum size of mail allowed on the servers? These are designed to maximize business throughput for all our customers, with emphasis on ensuring zero delay in mail delivery when the mail passes through the servers. Q. Can we use an alternate port for IMAP, POP and Chat instead of the standard ports specified by you? Mithi SkyConnect is a shared environment, where multiple customers deploy and provide mail and collaboration services to their users. Since the port changes are done at the server level, we cannot allow this on our cloud service. Q. Does SkyConnect integrate with BlackBerry Enterprise Server? SkyConnect works on open protocols and standards like XMPP for chat, SMTP / POP / IMAP for Email, CalDAV for Calendar and LDAP for Contacts (Address Book). Any mobile device supporting all these standards will work seamlessly with SkyConnect over regular GPRS connections. Devices which support all these protocols and can work smoothly with SkyConnect are Android Phones, Android Tabs, iPad, iPhone, etc. As for BlackBerry, there are open standard solutions for Chat and Email. Calendar and LDAP is not supported by BlackBerry since they are a proprietary solution. SkyConnect will not be supported by BES since BES works only with Exchange, Lotus Notes and such proprietary protocols. Q. 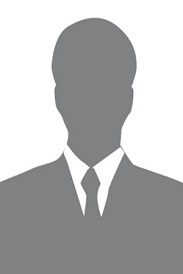 Can we attach user information (Name and Mobile number etc) as signature automatically for all users? No this is technically not feasible. Normally, when we compose a fresh mail or reply or forward an email, we expect the signature to be right below our message. This is why signatures are implemented in the email clients and they come up as soon as you start drafting your email. It is not possible to insert a signature in the middle of a message during the flow. Hybrid Email solution has scaled with IPCAs needs. Would be nice if Mithi can develop a connector between MS Outlook and their Open CalDAV calendar and if they can build in some more automation into their support interfaces.